Volvo V90 Boot Space, Size, Seats | What Car? 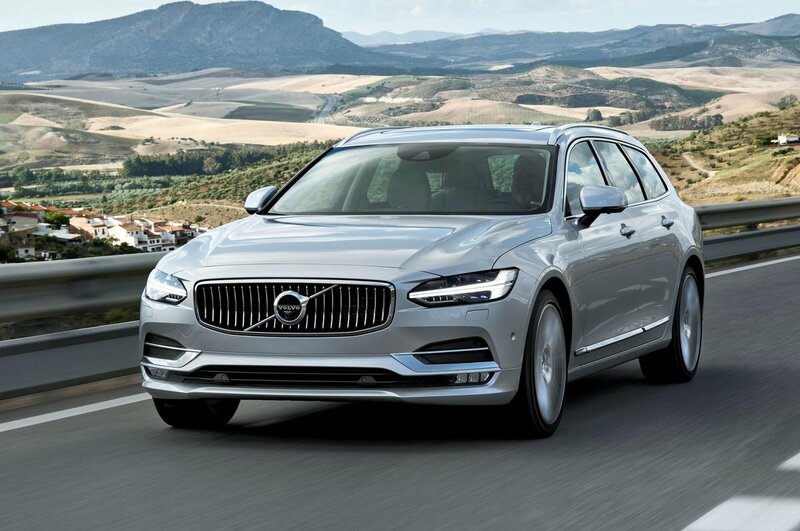 The Volvo V90 is superb at accommodating four adults. Those in the front get loads of head and leg room, and it’s the same in the rear, with class-leading knee room back there. It's more of a squeeze width wise for three larger adults sat in the rear, but three children can sit side-by-side perfectly happily. Things aren’t quite as capacious at the business end of the V90. 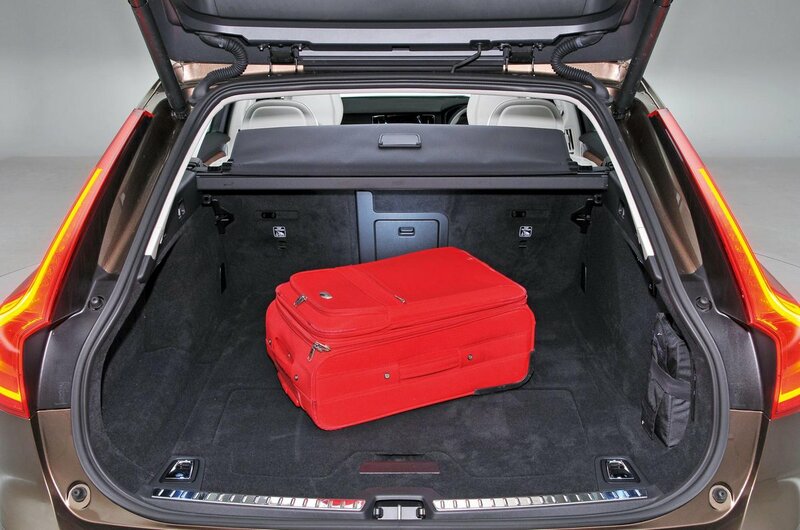 Although the V90's 560-litre boot all but matches that of a BMW 5 Series Touring in volume, the reality is it struggles to fit eight carry-on suitcases that fit easily in its rival. 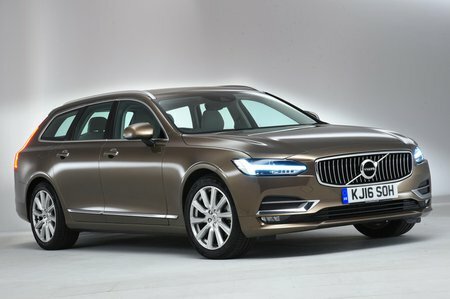 It’s smaller still next to the A6 Avant's boot and thoroughly thrashed by the carrying capacity of the E-Class Estate. The problem is the V90’s stylish, sweptback tailgate, but we should stress the point that while relatively it’s smaller than the competition, it not small and is more than voluminous for most family’s needs. At least the T8's battery pack doesn’t reduce the 560 litre capacity of the boot, although you do lose underfloor storage. The 60/40 split folding rear seats provide less flexibility than the 40/20/40 arrangements of its rivals, but the seat backs fold completely flat at the touch of a button conveniently located just inside the tailgate opening. With them down load capacity grows to 1526 litres, which is frankly massive, if still slightly short of the best. There’s no load lip, and because the V90's boot floor sits fairly close to the ground, lifting heavy bags inside is a breeze. Interior quality is superb – not far off the fit and finish of the excellent BMW 5 Series with an extra sprinkling of minimalist, Scandi-cool.